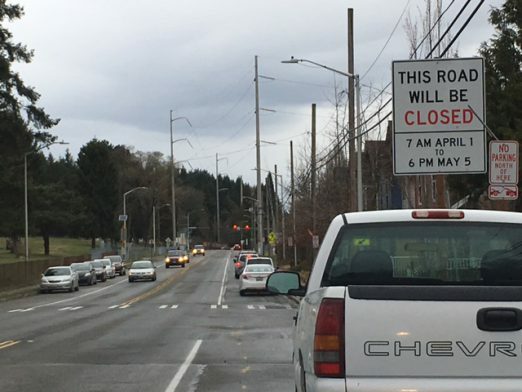 Thanks to the texter who alerted us to signage along 4th SW south of Roxbury [map] about an impending road closure. There we found the signs you see above and below. Thanks for the tips about a police search that included presence at 26th and Roxbury. 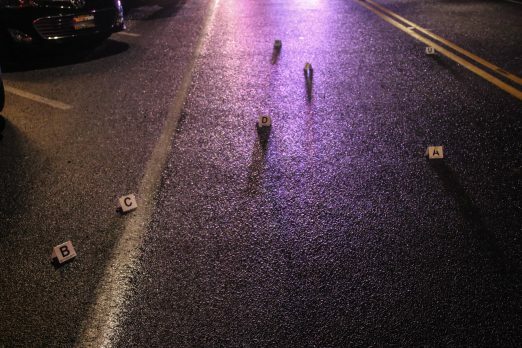 We’ve learned from the King County Sheriff’s Office that a man was stabbed near 24th Place and SW 112th. The victim was being taken to Harborview Medical Center. The investigation stretched to 26th and Roxbury because a vehicle there was somehow linked to the suspect. That’s all we know so far but we’ll be following up. 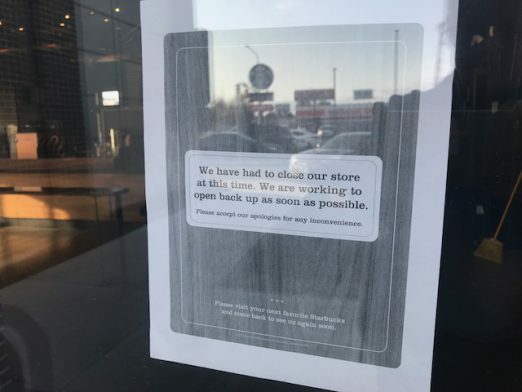 Several readers asked us about a report that someone had been shot earlier today near the White Center Starbucks. The business closed early, apparently as a result. The 3rd Annual King County Parks Teen Talent Show is coming up on Friday, March 22nd from 5-7 pm at the White Center Community Center, in Steve Cox Memorial Park (1321 SW 102nd). Community members interested in attending are invited to the show on Friday, March 22nd. Doors open at 4 pm and Admission is FREE. This year’s Talent Show is once again sponsored by the Teens and Staff of the White Center Teen Program. The WCTP offers free recreational, educational and social enrichment programming to over 1400 culturally diverse participants ages 12-19 each year. The program operates five days a week, forty-eight weeks a year and provides structured recreational classes and programs, homework assistance, educational and computer resources, leadership training, volunteer opportunities, special events, field trips, and drop-in activities. Thanks for the tips. 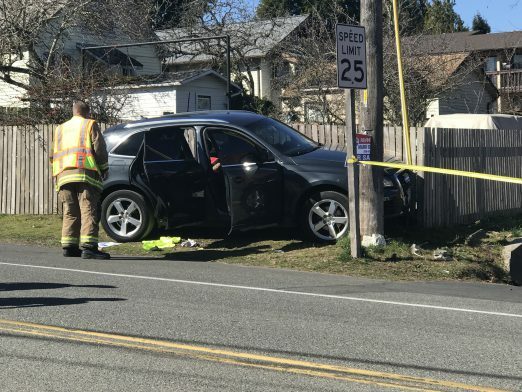 The big King County Sheriff’s Office response near 17th/98th is for a complicated crime scene – a car crashed and a man with stab wounds was found inside. He has been rushed to Harborview. Deputies don’t know who attacked him but they believe it happened in the course of a robbery. The victim is reported to be in stable condition. 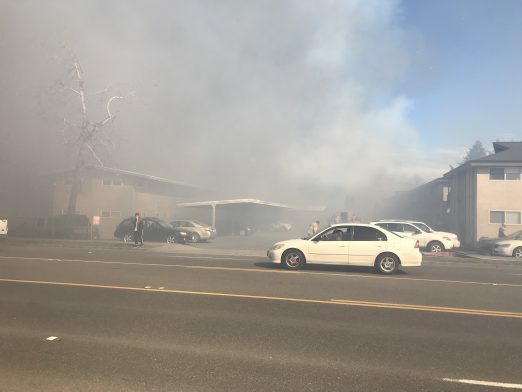 On Tuesday afternoon, two readers reported being on Metro buses when announcements were made that they were rerouting because of “an active arsonist.” KCSO spokesperson Sgt. 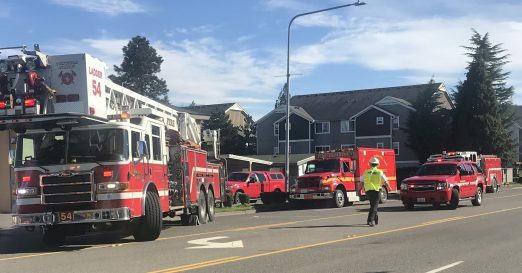 Ryan Abbott tells WCN that “one male is in custody on multiple counts of arson and reckless burning” after “several fires set at bus stops and three businesses in White Center.” No further details on the case but we’ll be checking on the suspect’s status. Suicide attempt, 10700 block 16 Avenue SW. 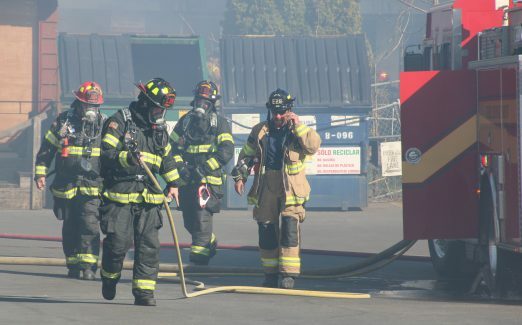 Male poured gasoline on himself and lit himself on fire. A Deputy saw it and used his fire extinguisher to extinguish the fire. 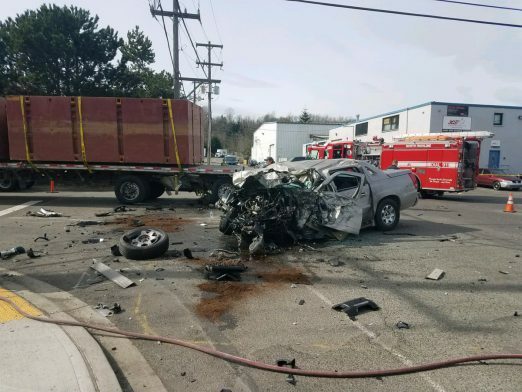 The male was transported to (Harborview Medical Center) in very critical condition. We always share this in reports mentioning suicide: If you or someone you know is considering self-harm, the Crisis Connections hotline is available 24/7 at 866-427-4747. 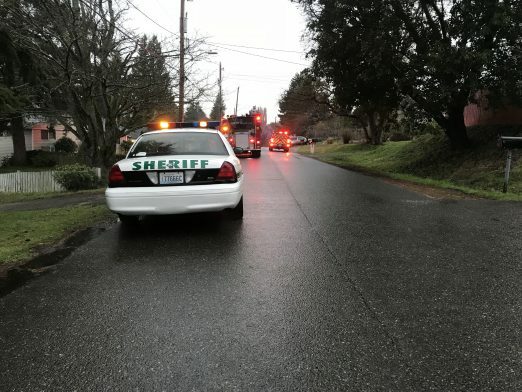 ADDED THURSDAY: The King County Medical Examiner’s Office says the 30-year-old man died, from burns over 92 percent of his body. 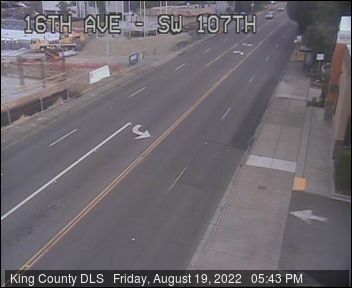 8:12 PM: Just in from King County Sheriff’s Office via Twitter: “Car vs child accident at SW 110/ 16 AVE SW in White Center. 12 year old child being transport(ed) to HMC by @KingCoMedicOne with serious injuries. KCSO Detectives responding to the scene. Road will be closed for several hours for investigation.” We’re on our way to the scene. 8:40 PM: NB 16th is actually open but the center and SB lanes are blocked. Detectives say they’ll be here another hour or so. Support Girl Scouts from Mary’s Place on the final day of cookie sales! 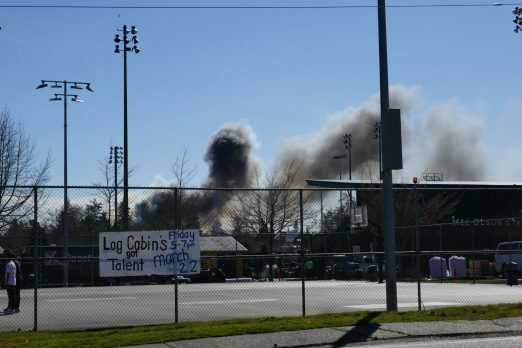 March 17th, 2019 at 12:27 am Posted in Burien, How to Help, White Center news | Comments Off on Support Girl Scouts from Mary’s Place on the final day of cookie sales! We just found out about this from a troop leader in West Seattle. Read more here. 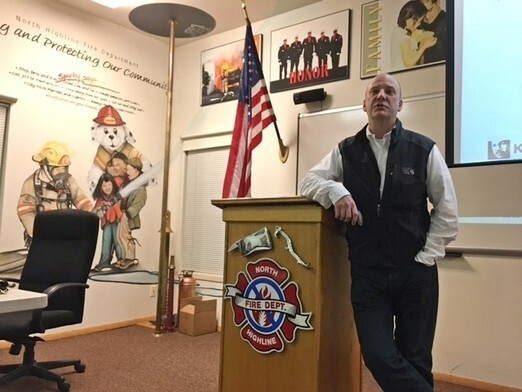 Thursday night’s North Highline Unincorporated Area Council meeting was the first of the year, since January’s regular night was too close to the New Year’s holiday and February’s was snowed out. The map he brought showed vacant – per the tax rolls – sites, though attendees quickly pointed out that many of the sites shown on the map were under development or had plans on file. Kimmett said he hoped one of the next steps might be to assemble a group and/or have a separate standalone meeting to look at these sites and hear community suggestions. They could come up with a list of priorities for purchases, over time. And then he revealed one might already be in the works: The revelation followed a site suggestion from Storefront Deputy Bill Kennamer, who pointed out a parcel on 8th Ave. S. that’s a “problem-solving” site of his. 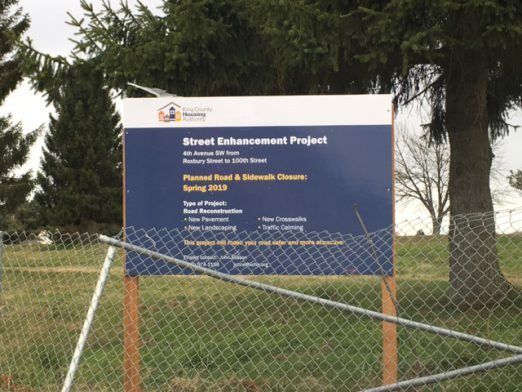 Kimmett said he’d actually been contacted by the site’s owners about possibly selling it as potential park land – five forested acres – instead of planning a potential apartment building; they had heard about his presentation last fall. 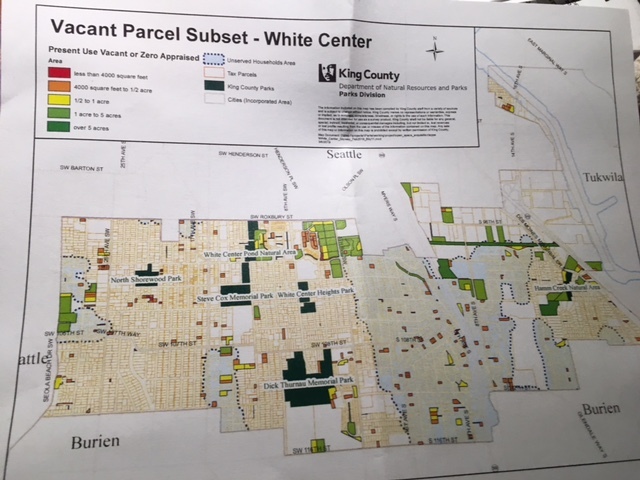 Giba also asked about a site that’s already county-owned – at 8th SW/SW 108th, where the White Center Food Bank and the temporary Mary’s Place shelter are located. While there’s been longrunning talk about building a new complex including affordable housing at the site, Giba thought the site could incorporate open space and maybe a longer-term home for the facilities there now. Kimmett mentioned a 14-acre Skyway site that has been eyed for more than a decade but has site challenges (including a sizable wetland) and hasn’t found a developer, so it’s under consideration now as parkland (the site is known as Brooks Village), so he said he’d look into this site’s status. But, Kimmett cautioned, the initiative’s success isn’t just about buying up a lot of land – it has to be strategic and programmable. No timeline for all this, yet. LOCAL SERVICES DIRECTOR: John Taylor made his first appearance since taking over the new department that’s tasked with delivering services to the unincorporated areas. He noted that it’s not really a “new department” so much as a reorganization – Transportation was broken up, for example, and Road Services is part of this new department since its responsibilities are entirely focused on unincorporated areas. Creating the department involved only one new hire – they’re adding an economic-development program manager for the unincorporated area. The Permitting Division is also part of it – with improvements planned including “more staff time to respond to customers” and “streamlining requirements for already-built-construction permits” – as are Community Service Areas (of which North Highline is one) and Service Partnership Agreements. “We’re also responsible for knitting together the stove pipes,” Taylor noted. He is hoping to help inform the unincorporated areas on what the other departments are achieving, to. Communication and outreach are a big part of it as well. Along with the economic-development hire, the department is also interviewing for “two new subarea planners,” and that will facilitate North Highline planning next year as well as the Skyway-area planning that’s under way now. Road Services funding is still low, Taylor said, as he showed a slide regarding the department’s snow and ice priorities, with 28 trucks with plows withs anders, 8 graders, 6 anti-ice trucks, 9 backhoes, 7 front loaders, 5 dump trucks, “to cover an area the size of Rhode Island.” They also can deploy County Parks and Solid Waste equipment and personnel – 10 dump trucks with trailers, a grader, backhoe, and over a dozen smaller construction trucks, with 10-15 personnel of those departments driving the trucks. “Leveraging assets from other departments” was something made possible by the reorganization that created Local Services. Taylor noted that the department moved “500 tons of salt in one night” to keep ahead of the February snows – almost half what it keeps on hand each year. He also showed slides detailing the massive response that the snowfall required. He noted that on some non-priority routes that they couldn’t get to immediately, they had to use heavy construction equipment to dig out of snow. But overall, doing all they could do meant it was not the “huge disaster” it could have been. Ideally, though, he said, they could have used 60 trucks rather than 28 – so they’re going to look into outfitting trash trucks with plows for potential future use. They’re also going to look at plow mounts for other departments’ trucks “in case this happens again.” And “we’re going to look at a funding solution for the county’s road problem” – he says the roads are used by people and jurisdictions that don’t contribute any money toward them. If you’re concerned about development and zoning, that’s a topic for the upcoming sub-area planning, Taylor said in response to a concern voiced by NHUAC’s Barbara Dobkin. But, he warned, the tradeoff could be more delays for building permits, which is a problem even now – “we’re getting beat up” for six-week delays, he noted. P.S. Taylor’s department is running an online survey right now – go to Sli.do and enter #localservices as your event code. DEPUTY KENNAMER’S UPDATE: He began by saying, “We have been experiencing a push of homeless (people) into the area … since Seattle’s squeezing the balloon.” He said the Myers Way east-side area that was swept has stayed swept. 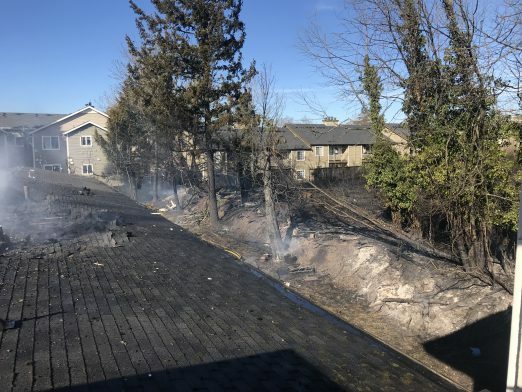 The 509 cloverleaf areas – “huge” camps – were swept, with WSDOT help, and people who were there were offered shelter, but he got no takers, he said. “I don’t know how to fix that,” he lamented. Otherwise – low-level crimes are “significantly down” in the area, but “our more-violent crimes are up.” Most of the recent high-profile crimes have been solved, he said. Deputy Kennamer was asked about a transient drug user “behind the Pizza Time” and says he can’t arrest the person “because prosecutors won’t file .. the political climate has to change” for cases like that to be pursued. “That’s unacceptable,” said an attendee. Kennamer said that citizen advocacy is the only way to change that. “Without pressure, it’s not going to change.” A discussion of the county-budget-cycle timing ensued. Asked about the gunfire near 16th/98th two weeks ago, he said it was “between two groups.” Not a random situation? pressed the attendee. “The location might have been random,” said Kennamer. One attendee asked about the recent 509 shootings and thought there should be more publicity about those. She also said that Steve Cox Memorial Park Fields 2 and 3 are expected to open within the next few weeks; Field 1 is lagging a bit, in need of post-snow turf repairs. UPCOMING MEETINGS: A LEAD program rep and CHI Franciscan rep are expected to be next month’s guests; Taylor and Permitting reps are being invited for May. … NHUAC meets first Thursdays most months, 7 pm, at the North Highline Fire District‘s headquarters. MISSING: Have you seen ‘Pepe’? 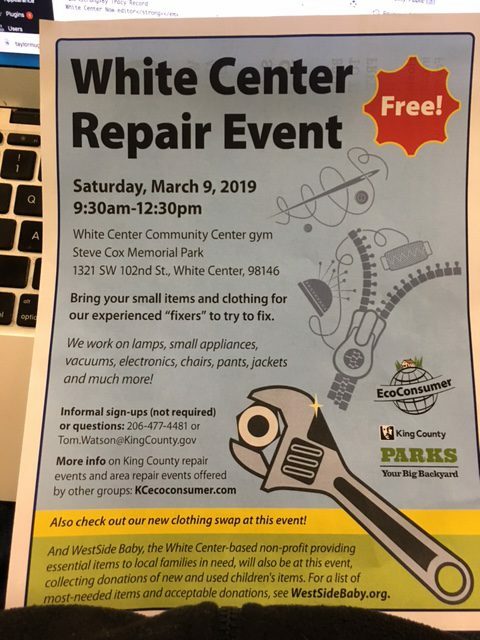 March 7th, 2019 at 2:48 pm Posted in King County Sheriff's Office, White Center news | Comments Off on MISSING: Have you seen ‘Pepe’? 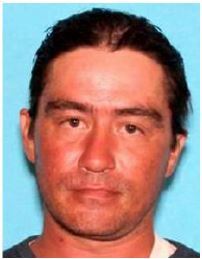 Michael Pepion, “Pepe,” age 42, was last seen on October 18, 2018 near the 9600 block of 16 Ave. SW in White Center. From there, he allegedly rode with another person to the Tahuya State Forest area, near Belfair, to the quad trails. 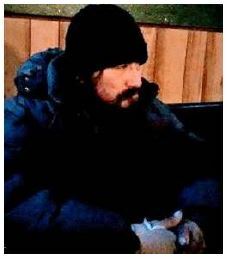 Michael has not been seen nor heard from since, which is concerning to Detectives. King County Major Crimes Detectives are asking for anyone that has seen Michael or know his whereabouts to call the King County Sheriff’s Office at 206/296-3311. The circumstances regarding his disappearance are concerning to Detectives. 7:09 AM: Woke up to some snow? So far no school delays – Highline Public Schools has made a point of saying it IS on time. There’s a Winter Weather Advisory in the area just for this morning, until noon. 7:50 AM: Metro says all its buses in our area are on snow routing now. Thanks for the text (206-293-6302 any time). Guardian One confirms via Twitter that it’s the helicopter you’re seeing/hearing over White Center. Flight tracking shows it’s been focused in the southwest White Center/northwest Burien area. 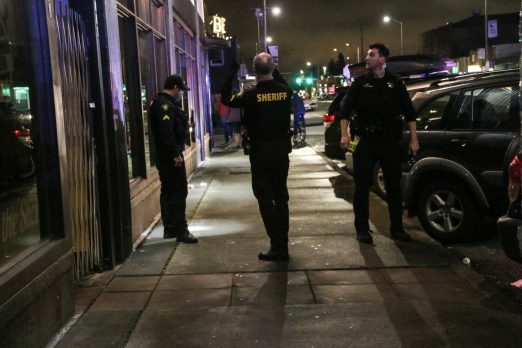 G1’s tweet says King County Sheriff’s Deputies are looking for a robbery suspect. We’re monitoring the search via law-enforcement radio but have not yet heard details of the incident. We’ll update if we find out anything more; let us know if/where you’re seeing deputies on the ground. (added) Radio discussion indicates the ground search has been centering on 14th/116th. The Opportunity to Be Informed, Be Involved and Be Heard! It’s time to have a community meeting. The weather forecast seems to be typical for this time of year so we’re going to get back on schedule. The first NHUAC meeting of 2019 will give us the opportunity to learn how King County intends to increase its outreach to and improve life in North Highline. Our ability to access parks and green spaces and the quality of our natural environment have strong effects on physical and mental health and the quality of our lives. As he promised in November, David Kimmett of King County Parks will join us to share current information about the Open Space Program and gather community input about the green spaces in North Highline that need protection before they are lost to development. We will also be joined by John Taylor, the director of King County’s newest department, Local Services. The goal of Local Services is to “develop new and better ways to serve” the people of unincorporated King County. What motivated the change? What’s been done so far? Good decision-making requires good information. What data is Local Services using to assess the needs in North Highline and compare them with the rest of the county? What does the data show? Where can our North Highline community access the information? From garbage to round-abouts and building codes, these are only some of the questions and issues that come to mind. Bring yours to this important discussion about life in North Highline. NHUAC is always happy to see White Center Storefront Deputy Bill Kennamer, who will update us once again about police activity in our community. Then … the floor will be yours! 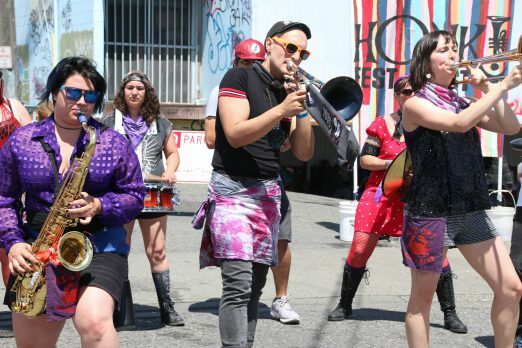 Learn, share and help make North Highline a better place. March 7, 2019 at 7 pm – Bring a Neighbor! It’s been almost three months since KCSO announced Roberts, 24, was being sought in connection with the shooting death of 26-year-old Ricardo Villa Senor in November. According to the jail register, Roberts is charged with first-degree murder and his bail is set at $2 million. The recent snow threw a curveball at registration season for Southwest Little League, so it’s gone into extra innings – with one more chance, 9 am-noon this Saturday (March 2nd), to register in person at the Steve Cox Memorial Park log cabin (1321 SW 102nd). Southwest Little League serves southern West Seattle, White Center, and South Park. Go here for full details on who’s eligible and what to bring to register. If you can’t make it to the park on Saturday, you have two weeks beyond that to register online – go here before March 15th. 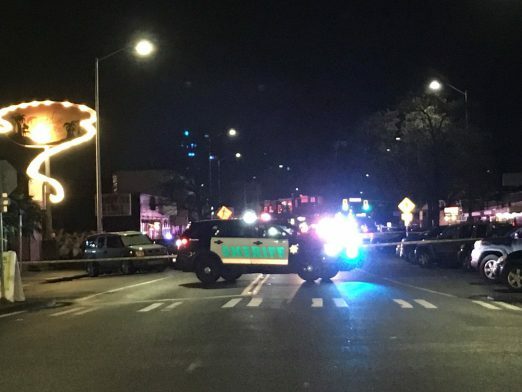 That’s the scene in downtown White Center as King County Sheriff’s Deputies investigate gunfire that left shell casings on 16th SW just south of SW 98th. 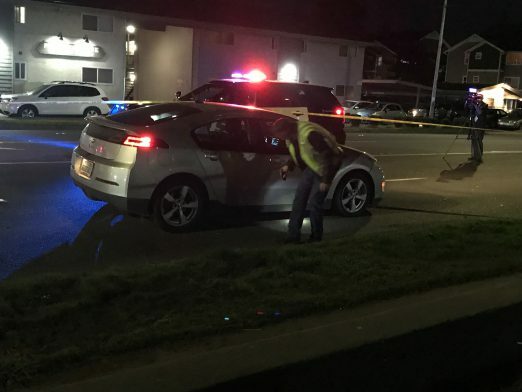 When we talked to a KCSO sergeant at the scene a short time ago, he told us no one was reported injured (but they’ve given local hospitals the heads-up to be on the lookout in case someone shows up with bullet wounds). 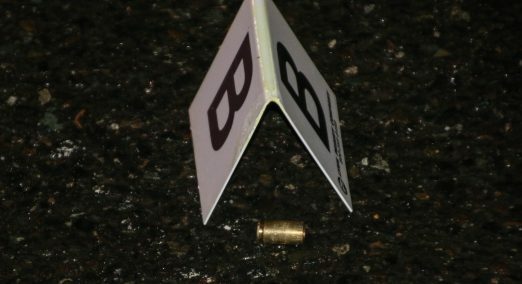 This is the same block that’s seen gunfire take three lives in the past two years – two men in January of last year, one man in May 2017. No details yet on the circumstances of tonight’s gunfire but we’ll add anything more we find out from KCSO.